What Makes A. Fishman & Son the Best Diamond Dealer? You’ve discovered the best diamond dealer for your unique needs. A. Fishman & Son is an established fine jewelry manufacturer backed by three generations of experience. With an A+ Better Business Bureau rating, we’re your premier source for loose diamonds and fine diamond jewelry. Our customers say it best through their testimonials and positive Google reviews. They can attest to our diamond expertise, which goes beyond the basic certification details and the 4 C’s of Color, Cut, Clarity and Carat Weight. Our clients feel comfortable recommending our services to family and friends, because they know we’re the best diamond dealer for those seeking quality. We share professional advice on a diamond’s value and most desirable properties. 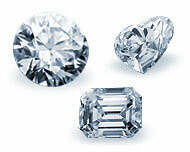 See our diamond buying tips to learn more about investing in these precious stones. There’s no need to pay the hidden costs on many retail sites. Shop us first for reliable information, accurate product representations and unbeatable pricing. We are also uniquely positioned to assist you in your custom, one-of-a-kind engagement ring. You can see real examples of our work for our customers by browsing our Diamond Engagement Rings. We can customize any ring you may be interested in to accommodate your diamond or your desired style changes. Our master jewelers can also create your custom ring from photos or ideas you may have. As a well-regarded and reputable jewelry store, A. Fishman & Son owns a large number of GIA-certified diamonds. We’ve invested millions in our inventory. And we know “pretty” diamonds. So we can buy diamonds that look good on paper and beautiful on the hand. We examine each diamond to ensure its worthy of our investment, and yours. Skip the jewelry sales associate. 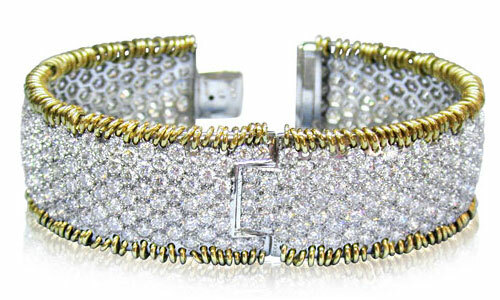 Go straight to a diamond authority, Josh Fishman, the owner of our reputable jewelry store. Rely on his expertise, as he explains a diamond’s details. He’ll direct you to incredible diamond engagement rings and wedding rings in your price range. Since we offer personalized guidance, we do not sell online. So contact us at 718-305-1817 to learn more about the diamonds and jewelry that spark your interest. Get the Right Diamond at the Right Price!TM Click on the shape below to see what's available. Since confidence and trust are all-important when buying a diamond, you should be fully informed about the history, background and experience of the company and the individual with whom you wish to do business. You want a company with a long track record for integrity and honesty in the industry. Josh Fishman, President and Owner, greets you! If you are looking for a loose diamond source who will take your individual needs into account, who can provide you with the finest GIA certified diamonds at the most competitive prices, with true, not artificial value, and provide you with the best service in the industry, your search is over. A. Fishman & Son has been manufacturing fine quality ladies Diamond and Precious Stone Jewelry since 1947. Our line is classic and timeless. We also do significant special order manufacturing. The issue of Conflict Diamonds is a serious and troubling one for our industry and for you as a consumer. No one wants to finance war and destruction by buying diamonds which come from "conflict" areas and which are sold to finance these wars. That is why A. Fishman & Son takes all steps possible to assure ourselves and you that none of our diamonds originate from any of these conflict areas. Read our policies about Product Information, Diamond Certificates and Legal Notices. A. Fishman & Son has the most competitive prices on loose diamonds because we are a direct importer and cutter of loose diamonds. Unlike most on-line sites, we own our own inventory and therefore there is never a middleman taking a profit or a commission on the sale. A. Fishman & Son is rated A+ by the Better Business Bureau. This is an emblem of excellence. Read spontaneous and unsolicited letters and e-mails from people like yourself, who have found us through our web site. They encouraged us to share their experiences with you. At A. Fishman & Son, you speak with Josh Fishman, the owner and a third generation diamond expert (not a “sales associate” or "diamond consultant"), who will explain to you the fine details of any diamond you may be interested in. Call Josh at 718-305-1817. A. Fishman & Son believes in complete customer satisfaction. We take great pride in the quality and workmanship of our merchandise and are confident that upon receipt of your purchase, you will find it completely matches your expectations. If, however, you decide to return your purchase, we will gladly refund, replace or exchange any unworn item within 30 days from the date of shipment. A. Fishman & Son is pleased to offer our customers FREE FedEx Overnight Shipping on all domestic shipments. A. Fishman & Son wants to be your jeweler for life. For that reason, we've implemented policies to help you shop with confidence not only today, but years down the line.